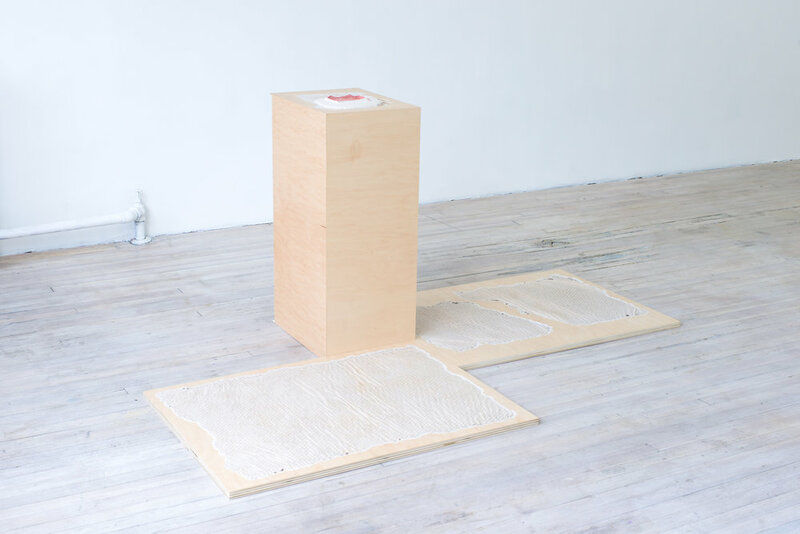 CUP is the first solo exhibition by Barb Smith at 315 Gallery, composed of a new body of sculptural work, custom floor tiles, and video. A cup is a vessel, a thing that holds, a receiver. This everyday container is caught within conflicting origin stories about the material history of human evolution. In her 1986 essay The Carrier Bag Theory of Fiction, Ursula K. Le Guin excavates the Carrier Bag Theory of evolution, which provides a counter-narrative to long-held anthropological theories that assert the first tools created by humans were weapons – an origin story that centers the hunter, the hero. The Carrier Bag Theory posits instead that that the first human device was not weapon but in fact a container or basket used to gather and bring home food and other resources. Before the knife, the ax, the blade, or blunt object of dominance and destructive force, was the carrier, the holder, the receptacle. This account offers a more inclusive narrative that centers the gatherer, the nurturer, in place of the violent aggressor. 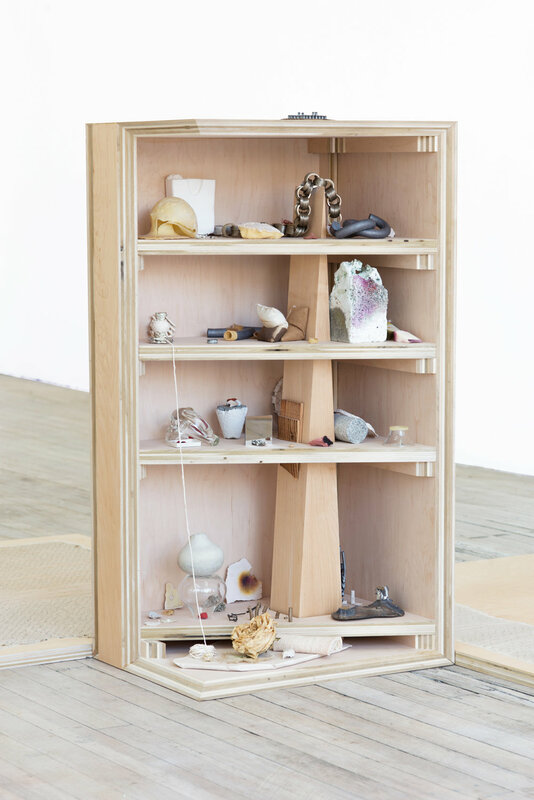 The work in CUP examines, interrogates, and sometimes reshapes the memories that objects contain; items accumulate to tell a more intimate kind of origin story that is both personal and collective. 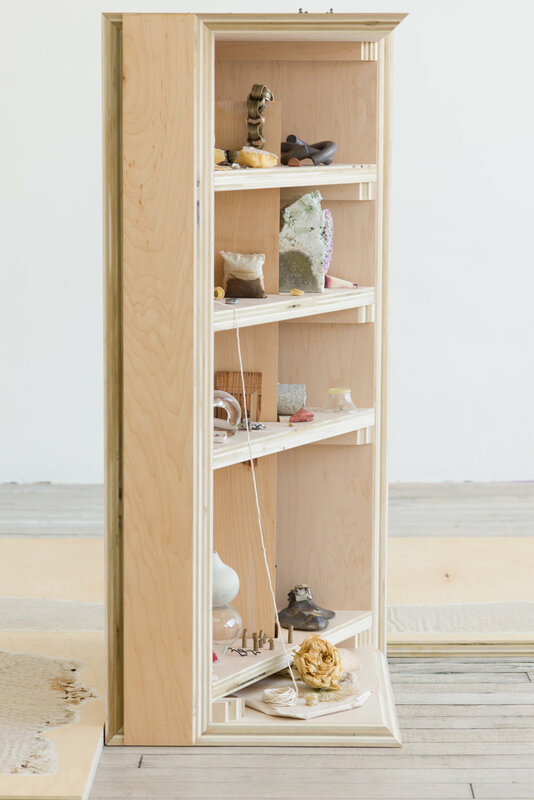 Central to the exhibition are five pedestals that each display a singular object such as a porcelain kissing angel, an elongated glass form produced by a of tug of war, or a miniature chess set made out of ammunition. The curious viewer will discover that there is more to see: found objects that have been altered; remnants of material processes gone awry; baskets, pinch pots, and other vessels; impressions of things no longer present; fictional game spaces; bullet shells, broken limbs, and hand painted bruises; felled, smashed, and pierced objects; support structures; escape routes; and things mended. A video of Queen Anne’s Lace quivering in the breeze and an abstracted votive for healing accompany the object-vignettes. 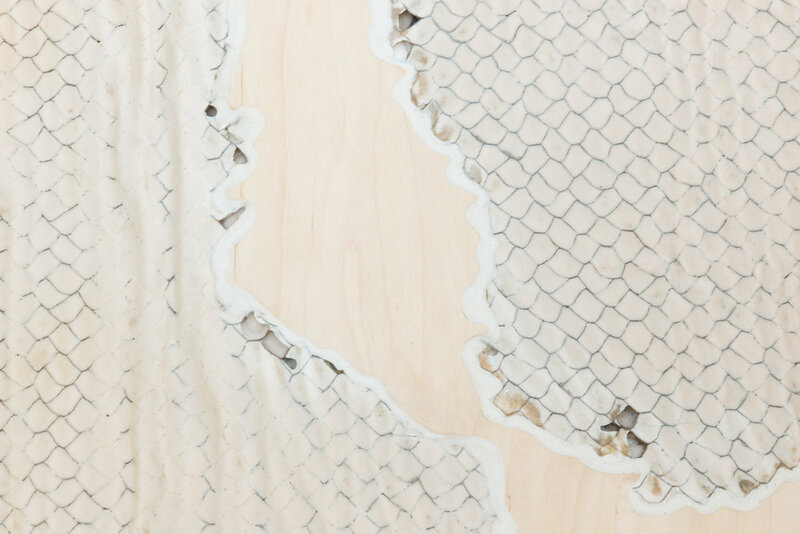 Together, the works signal the entanglements of trauma and healing, protection and vulnerability, that reoccur in Smith’s ongoing mining of the emotions and histories that are held simultaneously within objects and in the body. 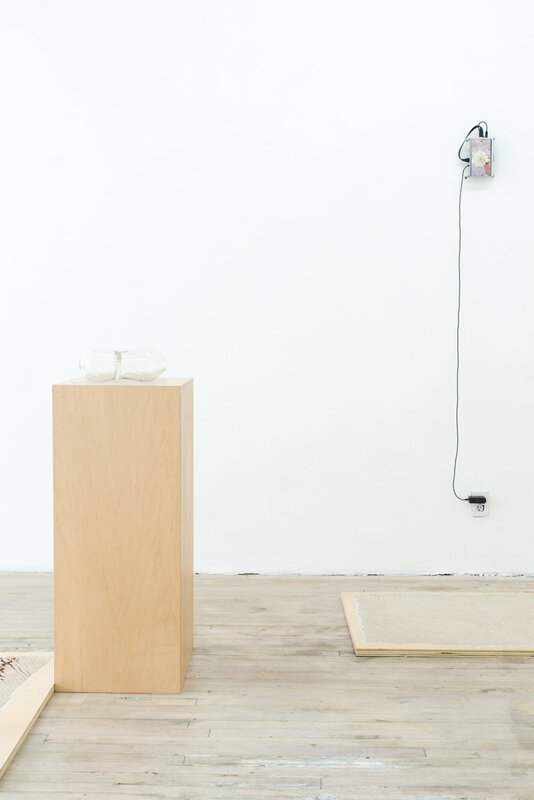 Exploring what a vessel contains, CUP reflects the corporeal, psychological, and social impacts of carrying the personal and inherited histories that accumulate over many lifetimes. Barb Smith (b. 1979) is a Queens based artist born in Kokomo, Indiana. 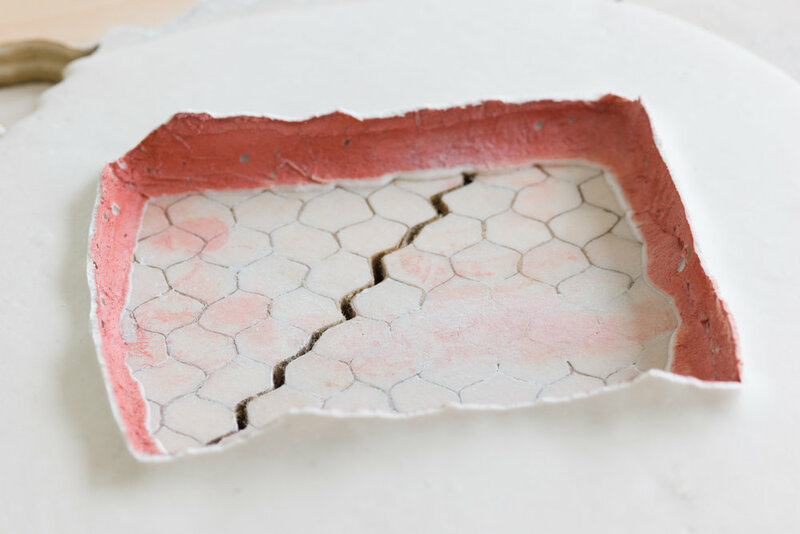 Her work exists in a wide range of media including photography, video, and sculpture and invites reflection on one’s relationship to the material world as evinced by the tension between seeing, touching, and recalling. Solo exhibitions include Strike-slip at Páramo, Guadalajara, Mexico; Unexpired Time at the Museum of Contemporary Art, Mesa, AZ; and Apperception at Purdue University, West Lafayette, IN. 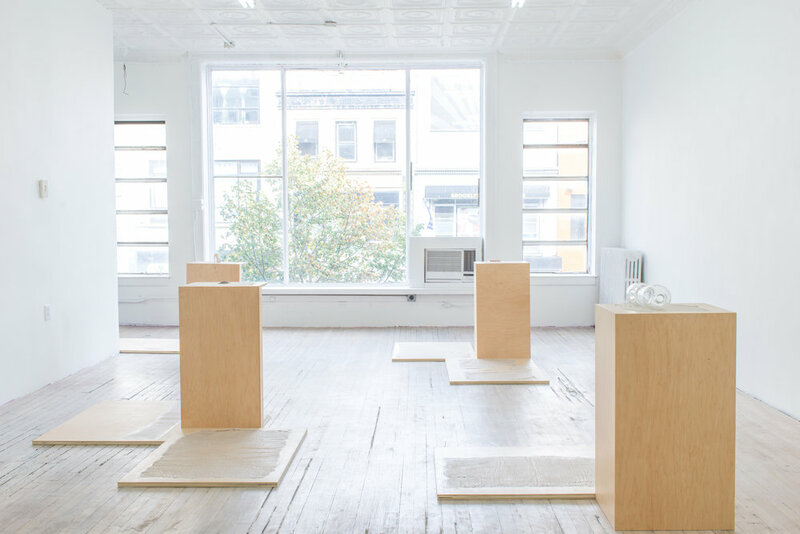 Recent group exhibitions include In Practice: Material Deviance, SculptureCenter, NY, Queens International, Queens Museum, NY; Blue Jean Baby, September, Hudson, NY; and It/Ego, Brennan &Griffin, NY, NY. 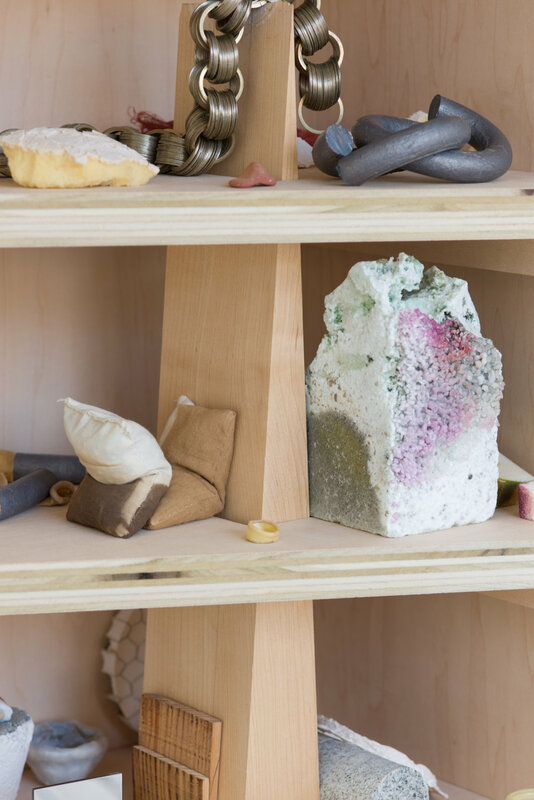 Smith was awarded a New York Foundation for the Arts Fellowship in Sculpture (2011) and attended the Skowhegan School of Painting and Sculpture (2012). Her writing has been featured in The Shawangunk Review, No Dear Magazine, The Saint Lucy, Makhzin, and The Brooklyn Rail. She received a Master of Fine Arts in Sculpture from Bard College (2016).